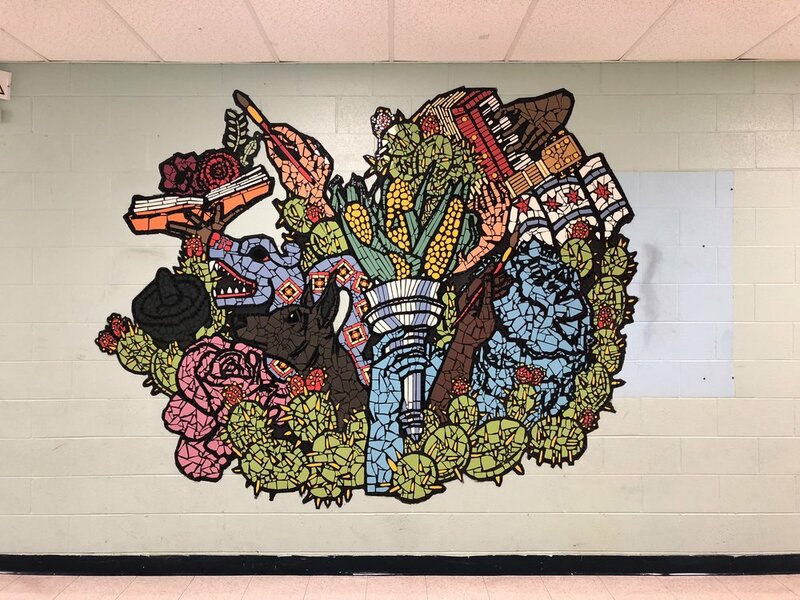 Description: From 2014 to 2017, Green Star Movement (GSM) completed several murals on the north and west sides of the Hedges Elementary building as well as the interior hallways which honor the Mexican heritage of the neighborhood's residents. 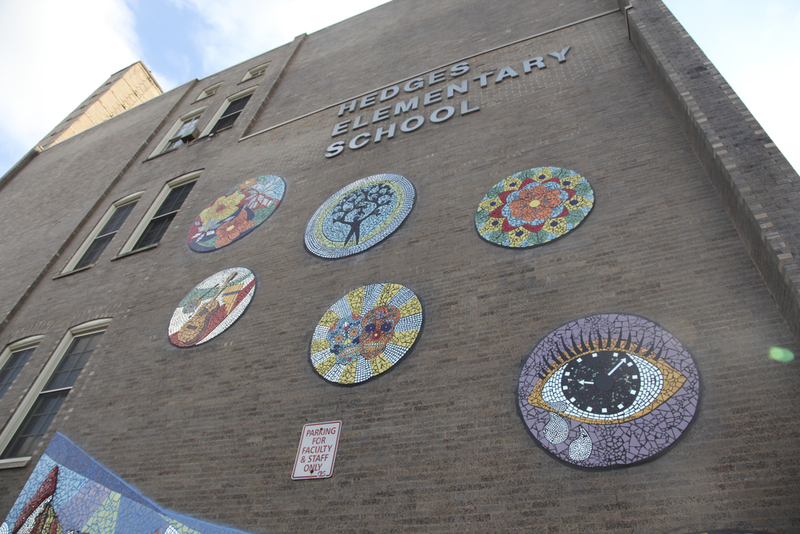 In 2017, for the entrance of Hedges Elementary, our team installed two murals dedicated to the country of Mexico. On the right is a depiction of Mexico's national coat of arms and on the left, a Maya Jaguar Mask which represents nobility and power.